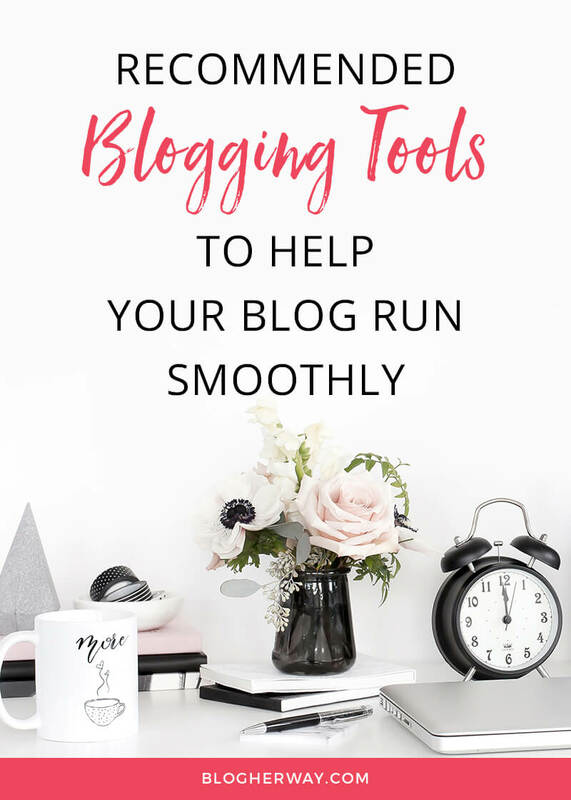 Every day I use a number of tools that help to keep my blog and business running smoothly. I wanted to share with you the blogging tools and resources that I use and love. *Some of the links below are affiliate links. If you choose to make a purchase I earn a commission at no additional cost to you. I only recommend products that I have used personally! I host my website through SiteGround using the WordPress software. I am currently on the GrowBig plan, which offers some premium support features and the ability to host multiple websites. There are a lot of tech aspects that come with running a blog and you are bound to run into an issue. I have had to work with SiteGround customer support on a number of occasions and I have had great response and help from everyone I have worked with. SiteGround offers competitive pricing and a nice discount on initial sign up. Check out my post on how to start a blog with Siteground. What theme do I use? I am currently using the Victoria theme by Bluchic. It has a great design that is tailored to help with email list building and with it’s various features you can highlight what is most important to you whether it be your products, services or blog content. Bluchic offers feminine WordPress themes and social media templates. What Email List Provider do I use? I have worked with a number of email list providers. I am currently using Mailerlite. This is a great place to start especially if you want to start building your email list for free. They have a free plan for up to 1,000 subscribers, with the ability to create automations, which is essential when it comes to growing your list. Another option to start building your list for free is MailChimp, which allows you to stay on the free plan for up to 2,000 subscribers. I originally started with MailChimp, but had some issues, which is why I switched to Mailerlite. I have also worked with ActiveCampaign in a different capacity outside of this blog. ActiveCampaign is a much more robust system. It does offer a lite plan that starts at $9/month for up to 500 subscribers. I liked working with ActiveCampaign and would definitely recommend it. I think as a new blogger on a budget it probably is not your first choice, but if you are a service-based business or sale physical products definitely check out its sales automation features. Where do I get my Stock Photos? I love using styled stock photos from Haute Chocolate. They offer a membership where you can pay quarterly or annually. Once you join you have full access to their image library, which consists of nearly 2,000 images including lifestyle, styled desktop, seasonal, and exclusive graphic packs. They add new collections twice a month so the library is regularly updated. It is definitely worth the price. Even if you just sign up for a quarterly membership once, you will have enough image options to last you for a while. What do I use for social media scheduling? I use Buffer for my social media scheduling. They have a free starting plan and then the next option is the Awesome plan at $10/month. It is an easy to use scheduler. I like to use it for Facebook, Twitter, and Instagram. Instagram is a special platform where per their terms of service a third party app cannot post on your behalf. You can schedule an Instagram post in Buffer and using the buffer app on your phone it will alert you when it is time to post and it easily connects with the Instagram app by sending your image and copying your text for easy posting. Buffer does allow you to schedule Pinterest pins, but I prefer to use Tailwind to schedule my Pinterest pins. If you pay by month for Tailwind it is $15 for up to 400 pins. It is much better to go with the annual plan with a monthly rate of $10/month that you pay up front for the year and that allows unlimited scheduled pins. How do I create my graphics? I use Adobe Photoshop CC to create most of my graphics. There is so much you can do with Photoshop and it is definitely worth the $10/month to get both Photoshop and Lightroom with the Photography plan. A free option is Canva. This is a great online tool. You can do a lot with the free version, but there is a paid version Canva for Work that offers more versatility. You need to do Canva for work if you want to be able to upload your own font. It is $10/month. I usually use photoshop, but I will use the free Canva for small quick projects. I wanted to let you know what courses I have invested in and give you the scoop on whether I would recommend the course or not. When it comes to instructors there is always the personality factor and do you jive with the instructor. This is always going to be different for everyone. I have listed the courses I have taken below by topic. This is a great course and I highly recommend it for anyone who is looking to make passive income online. When looking to make money online you want to set up multiple types of income streams. Various streams could include products, services and affiliate links. For someone just starting a blog using affiliate links is a realistic way to start generative income online. This course is in written format and not video. I think that fact turns some people away from purchasing this course, but the information contained in the course is valuable and totally actionable. Melyssa is an awesome teacher and I love listening to her teach. This course dives into essential strategies for building your list. It is a video based course that not only offers information on what to do, but she also provides tech training on how to do it. I would definitely recommend this course. Building a list is essential and will definitely improve your success online. This course was originally a live workshop that Melyssa Griffin taught and then segmented the video into chunks based on the topics. It delivers a lot of helpful information to get you started on some of the main social media platforms including Twitter, Facebook, Instagram, Pinterest and Periscope. I don’t know the exact date of the original webinar but it probably took place around early 2015, which means it does not necessarily cover any new installments with the platforms. For instance the use of Instagram stories and Instagram business accounts came out after this time period. Snapchat is also a very popular platform, but it is not included in the list. Since it was a recorded webinar, I don’t really expect that there will ever be any updates of the course. Within the course it links to her BrandBoss course, which she does not regularly promote and you will not find it listed on her course page. If you are lost and don’t know where to start with Social Media then I would definitely recommend this course. All of the strategies listed are still applicable for each of the given platforms. Like I said before I am a big fan of Melyssa’s content and I especially love when she teaches in webinar/slide show presentations. She is a great teacher! Price is $37 one time fee. I am going to list this one under social media; however, it covers a lot of topics related to blogging. This is a membership community that covers a new topic a month. Each month you will be given a masterclass video to watch and then the subsequent weeks you receive a blueprint, a checklist and then there is a group coaching call. Inside the membership site there is a community forum where you can connect with other members and ask questions. It also offers a private Facebook group as another way to connect with other members. I was only apart of the membership for 2 months when it first started. I originally joined because I wanted to try it out since I am a big fan of Melyssa. The starting price was $47 per month if you paid monthly. Considering time and my budget I decided to not continue with this membership program. I would definitely consider joining again. This membership community is only open at certain times of the year. You can get on the list to find out when it will be open for enrollment again. Summer has niched down to focus on Pinterest strategies and sales funnels. I liked this course because she is very methodical and well organized in the delivery of her content. This course has two parts. 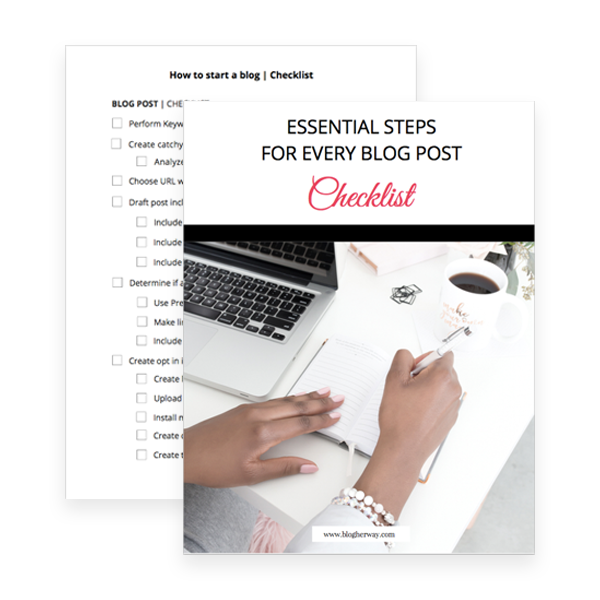 One part is on Pinterest specific content and the second part is about how to optimize your blog and content to help make Pinterest work for your business. 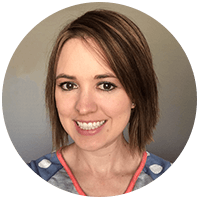 She originally made Pinterest work for her local dog watching business and branched into digital products and sharing her strategies on Pinterest. This was the very first online course I bought. I love Pinterest as a platform and it is one of my goals to have a successful Pinterest strategy for my business. Beth Anne from Brilliant Business Moms sells both physical and digital products and has experience with Etsy as one of her online platforms. I thought this was a good course and I would definitely recommended it. There is a lot of helpful information that is both actionable and completely doable. One of the strengths of this course is it goes in depth on setting up your Pinterest strategy and setting up Promoted pins and learning when to use them for your business. If you really want to learn about promoted pin strategies then I would recommend this course over Pintastic Profit Plan 2.0. The course itself is well organized, but my only complaint and I would say this as a ’soft complaint’ because I think it comes down to my personal preference and personality but I like things well structured and to the point and in her video presentations she does a lot of conversational teaching in sharing her wisdom, which is beneficial but it can run a little long when I’m just ready for the “action” part of the process. This wasn’t a deal breaker for me because I signed up for another one of her courses FB Brilliance, which covers Facebook Ads. This course goes in depth on how to create and manage Facebook campaigns. Honestly I have not completed this course so I can’t give a full review on the material. I’m not at the point where I am fully ready to utilize Facebook Ads. I will keep you posted as I work through the course and update this page. This course is hosted on the Udemy platform. This covers the basics of a variety of topics including website setup, SEO, digital marketing through Social Media, Google Analytics, YouTube and Facebook among other topics. One of the biggest perks is the price. The course price is listed at $200, but it always seems to be on sale around $10-15. The information is helpful and I would recommend it as a course especially at the discounted price. This is another course hosted on the Udemy platform listed at $200 but is usually on sale around $12-$15. I have not fully completed the whole course, but took it mostly for the html and css sections. I am by no means an expert with Html and CSS, but since taking this course it has helped me tackle some projects with my website that require the basic knowledge and understanding of coding. For the discounted price the course is totally worth taking. At the time I took the course, it covered Photoshop CC 2015, but the information has been updated to cover the features of the latest 2017 version of Photoshop CC. Definitely a good course on learning how to use Photoshop. This course is hosted on Safari Books Online, which has a month membership fee for 1 user at $39/month. You get access to the full course library.